PROFONDITA "Dracarys" new album out now! Dragons are well-known mythological creatures that have magical powers. The Latin word draco, as in the constellation Draco, means huge serpent or water-snake. The word ‘dragon’ also comes directly from the Greek drakones or draconta, meaning “to watch”. The Greeks look at dragons as beasts, guarding treasured pieces. Some live in deep areas, such as underwater and caves, while others live on top of mountains so that ancient civilizations couldn’t reach them. The Progressive Psychill geniuses are back! 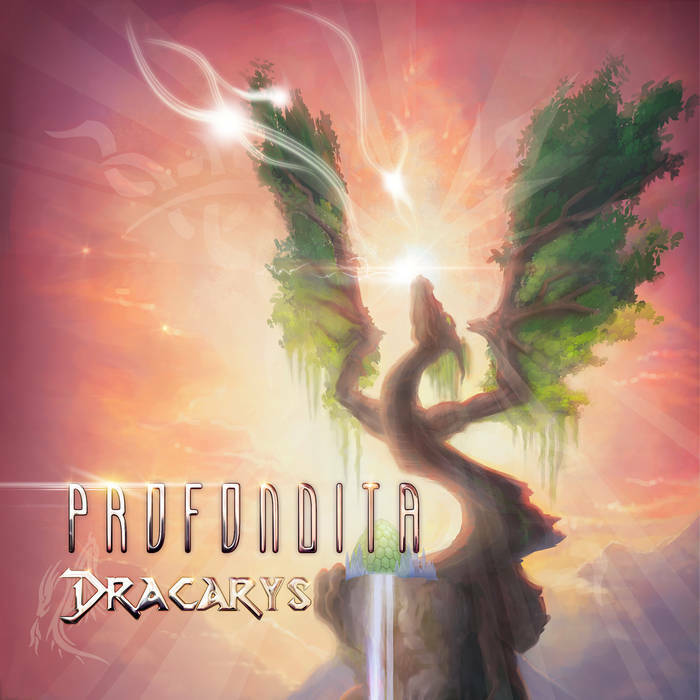 Here is 'Dracarys' from Profondita. Their last treasure is filled with 8 musical gems guarded by a beautiful luminous dragon designed by George Atherton from Geoglyphics. The tracks have been a successful hit and exploded with enthusiasm on the dance-floors. The amazing 'Profondigiman' track featuring Gabriel Kimchi aka Aborigiman is ready to blast your sound system and explode the epic dance-floors at festivals all around the world. The tracks have been a successful thrill with exploded enthusiasm on the dance-floors. If you’re a long-standing fan and have enjoyed their first opus 'Ciel' of their exquisite music, you will be in for a musical delicacy with this weaving follow-up album ! Offered in 24bits flawless quality for the download version. The CD’s packaging is made of the beautiful Digipack for the visionary pleasures. W&P by Hudur Shrim & Eyal Markovich; Sea Of Galilee, Israël. PS: This is the last album of the duo. They now have their own projects therefore they are not planning to write another album together. -Hudur will continue to drive Profondita: his first solo and double-album is scheduled for 2018. He's also still making music as Ko-Doa, Minimal Tok-Yo and Blue Whirl. -Eyal works from now on his Mobitex project as you may have heard on 'Winter' and 'Serial Chillers' compilations earlier this year. He'll also soon release his first full-length album on Altar.